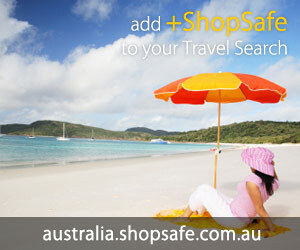 Health & Beauty - Personal Care - Cosmetics - Skin Care - Lotion - ShopSafe. There are 304 products in the Skin Care Rx > Health & Beauty - Personal Care - Cosmetics - Skin Care - Lotion ShopSafe Category. Dhc Mild Lotion Mini Description: Hydrate your skin with DHC Mild Lotion Mini. This revitalizing tonic helps your moisturizer go the extra mile in keeping your skin freshly hydrated. It`s alcohol-free for gentleness, and blended with soothing cucumber juice to keep things cool.... etc. Buy this Dhc Mild Lotion Mini today from USD$4.94 on the Skin Care Rx website. Vanicream Moisturizing Skin Cream Description: Think a cream has to be greasy to effectively moisturize? Vanicream Moisturizing Skin Cream is a non-greasy, non-pore-clogging, and soothing cream for the face, hands, and body that reduces irritation and dry patches without the use of perfume, lanolin, dyes, formaldehyde, or parabens.... etc. Buy this Vanicream Moisturizing Skin Cream today from USD$6.80 on the Skin Care Rx website. Dhc Coq10 Face Milk Mini Description: Have younger-feeling skin with DHC COQ10 Face Milk Mini. This lightweight, revitalizing moisturizer is rich in age-fighting coenzyme Q10 to fight free radicals and help promote a firmer, smoother complexion. Your results: a healthy, radiant glow. Particularly beneficial for those with sun-damaged or maturing skin, its light milky texture is ideal for daytime. etc. Buy this Dhc Coq10 Face Milk Mini today from USD$6.94 on the Skin Care Rx website. Topix Dry Skin Hand & Body Lotion Description: Crazy for cool, comfortable skin? Topix Dry Skin Hand & Body Lotion is a softening, soothing skin moisturizer designed to smooth away dehydration, flakes, and cracking. With powerful hydrators that boost and maintain skin health, you`ll never have to settle for dry skin again.... etc. Buy this Topix Dry Skin Hand & Body Lotion today from USD$7.57 on the Skin Care Rx website. Vichy Thermal Spa Water - 1.69 Fl. Oz. Description: Vichy Thermal Spa Water is 100% pure and naturally rich with 15 rare minerals. It is clinically proven to have health benefits for your skin: regenerating, antioxidant, soothing and protective. Recommended for sensitive skin.... etc. Buy this Vichy Thermal Spa Water - 1.69 Fl. Oz. today from USD$8.00 on the Skin Care Rx website. La Roche-posay Thermal Spring Water ( Description: La Roche-Posay Thermal Spring Water is a refreshing fine mist with healing properties. It is naturally infused with a unique combination of mineral salts and trace elements. It provides soothing and softening benefits and its antioxidant attributes play a vital role in healthy cell function by protecting against oxidation, an important skin aging factor. etc. Buy this La Roche-posay Thermal Spring Water ( today from USD$8.94 on the Skin Care Rx website. Mustela Hydra-stick With Cold Cream Nutri Protective Description: Make moisturizing your baby`s delicate skin easier than ever with Mustela Hydra-Stick with Cold Cream Nutri Protective. This convenient hydrating, creamy stick gives instant relief to all exposed areas on the face.... etc. Buy this Mustela Hydra-stick With Cold Cream Nutri Protective today from USD$9.50 on the Skin Care Rx website. Dhc Coq10 Lotion Mini Description: Smooth your skin with DHC COQ10 Lotion Mini. Help minimize damage from environmental stresses with this indulgent, revitalizing toner that not only preps your skin for the moisturizing step, but also promotes elasticity and a smoother tone. Bursting with the highest concentration of antioxidant powerhouse coenzyme Q10 we`ve ever had in a toner, this refreshing, fast-absorbing blend is particularly beneficial for those with sun-damaged or maturing skin. etc. Buy this Dhc Coq10 Lotion Mini today from USD$9.94 on the Skin Care Rx website. Bioelements Equalizer Toner Description: You know that preparation is key to success in life, so prepare your skin for whatever the day throws at it with Bioelements Equalizer Toner - 2 fl. oz. It uses botanical extracts to purify and soothe your skin at the same time. The instant boost of refreshment adds pep to your day and lifts you up when you`re down. etc. Buy this Bioelements Equalizer Toner today from USD$10.39 on the Skin Care Rx website. Juice Beauty Organic Lip Moisturizer Description: Feel like no matter how much lip balm you apply your lips are always chapped and dry? Juice Beauty Organic Lip Moisturizer uses non-habit-forming, soothing, and natural ingredients to hydrate, renew, and protect your lips without anything to harm your body.... etc. Buy this Juice Beauty Organic Lip Moisturizer today from USD$10.42 on the Skin Care Rx website. Elta Md Moisturizer Description: Damaged or irritated skin? Elta MD Moisturizer hydrates skin by melting upon contact and locking in moisture for over 24 hours. This product works well after skin peels or laser treatments to soothe and hydrate skin with Petrolatum. Works well for those with sunburn or dry skin conditions.... etc. Buy this Elta Md Moisturizer today from USD$10.50 on the Skin Care Rx website. Mustela Cold Cream Nutri-protective Description: Defend your child`s skin from damage with Mustela Cold Cream Nutri-Protective. It strengthens, moisturizes, and calms dry, sensitive skin as it protects from harsh elements like wind, cold, and dry air.... etc. Buy this Mustela Cold Cream Nutri-protective today from USD$11.50 on the Skin Care Rx website.